Being open late daily even on holidays isn’t easy. 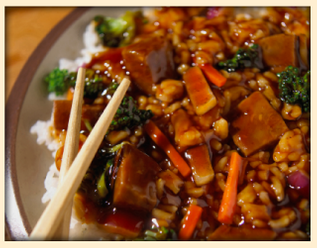 However, Flying Tiger Restaurant recognizes the necessity for late-night pick-up and delivery services for Chinese cuisine, especially in a college town. You never know when hunger pangs are going to develop when you’re staying up late cramming for a mid-term. Located near the University of Windsor’s campus, our restaurant offers an affordable solution when hunger strikes at the most inconvenient of times. At Flying Tiger Restaurant, our personal commitment to our customers is that we’ll have their food prepared fresh and delivered to them fast. We’re open late daily for dine-in, take-out and delivery within the Windsor area. To place an order for pick-up or delivery, please contact us and we’ll have your order ready in a hurry. Should you have any special dietary needs or concerns, be sure to let us know and we’ll do our best to accommodate them. Dedicated to your satisfaction, we do our best to ensure a positive customer experience every time.